A large part of the problem is the one million miles of pipework across the country transporting this water. Much of this was laid in the early twentieth century with an expected life span of 75 to 100 years.2 As more pipework exceeds its working life, leakages will only increase. That’s why the American Society of Civil Engineers gives the U.S. potable water infrastructure a low D in its 2017 report card.3 To raise that grade will require a massive investment in replacing and upgrading America’s aging water assets. However, simply investing in more of the same would be a Band-Aid option. That would be missing a trick: America must use this opportunity to prepare for the future by upgrading to a smart, low-leakage water system built on proven smart control and dynamic pressure-controlling valves. The prize for those that do so will be less water and money wasted while maintaining customer satisfaction. Of course, as a geographically and topographically diverse country, the challenges faced by municipal and private water firms aren’t uniform. However, some of the solutions just might be. To illustrate how, this article will detail four key states as illustrative examples of how America can get smart about its potable water problem. Old systems would have minimal visibility in a modern water distribution supervisory control and data acquisition (SCADA) system. Water treatment plants are heavily automated, but once the water enters the distribution system there is little monitoring of water quality or control of pressure. Traditional water metering technologies provide inconsistent measurement of water usage, making it hard to estimate water loss within the system. 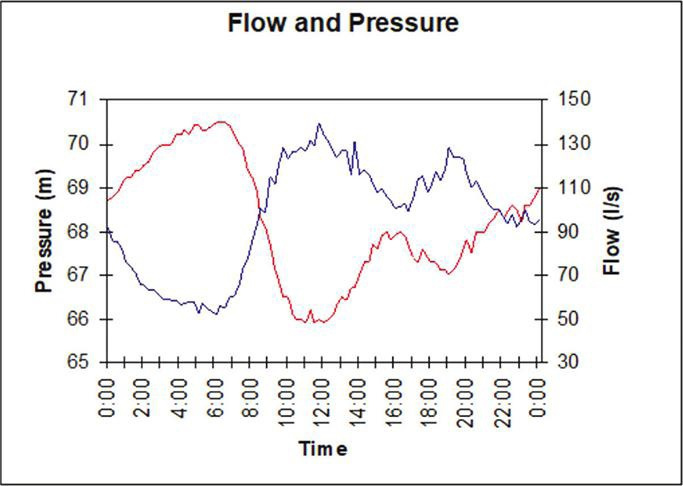 Flow meters can detect potential leaks when unusual spikes in water flow are registered, but a real understanding of the hydraulic map across the entire water distribution system is needed before leak reduction measures such as pressure control can be used effectively to save valuable water resources. If old water systems are a problem, you would expect new ones to be a great improvement. To an extent that’s true, but when the pace of development is breakneck that can cause problems itself. In 2017, Texas welcomed 400,000 new citizens, pushing the state’s population over 28 million and increasing pressure on water supplies.6 Major cities such as Houston are booming, and so is investment in new homes and infrastructure to match. The pressure is on for utilities to fund this expansion. However, with the majority of revenues coming from ratepayers and already strained budgets, it is an expensive thing to do. This flat state requires pumps to deliver water pressure, so the benefit of reducing water leakage is twofold: energy savings and water savings. However, to maximize pumping efficiency and provide constant and reliable pressure across the network, it is important to include modern sensors and SCADA to control pressure across all communities. As the population expands, it will be crucial not to unduly stress water reserves with avoidable losses. Topography can also pose challenges. Consider a mountainous state such as Colorado, where water mains can traverse multiple elevations across a single distribution network. This can be a nightmare for a utility trying to regulate water pressures. In flat regions water is pumped to the customer, whereas with elevation changes gravity can deliver water. However, a variety of different elevations across a water system can result in an inconsistent supply pressure. When gravity or pump pressure is used to distribute water through the entire system to the farthest user you will create high pressure points that will lead to an increase in water leakage and eventually catastrophic pipe failures. Therefore, a more systematic approach to leveling the pressure across the network is needed. In states where water supply is not being challenged by infrastructure or people, leaks are still expensive to fix. In dry states, where water reserves at times can be dangerously low, leaks are catastrophic. California has had well-publicized problems with droughts — a problem that is more likely to worsen than improve with climate change. Every drop of water is valuable, and an economy with natural resources accords well with the state’s general focus on environmental issues. In such a context, it’s important for utilities to do everything they can to reduce leakage. A leading factor in the reduction of water leakage is effective pressure management across the entire network. With a pressure-managed system you can provide adequate pressure for all customers, but without the pressure spikes that can cause leaks. These are very distinct problems from one another, but they share something in common: all of them can be alleviated to a large extent by applying smart water principles, already widely used in the UK, where the government is mandating water leakage reductions across the country. Globally, water distribution systems are currently using cast-iron-bodied, diaphragm-style pressure reducing valves (PRVs) that were designed a century ago. There are known performance limitations and regular maintenance is required with these types of valves. In particular, it is important for a PRV to work across a wide range of flow and pressure conditions without the effects of cavitation or performance degradation due to high head loss across the valve, as well as at low flows without the risk of instability. Fortunately, some newer PRVs feature designs that are light, reliable, and corrosion-resistant. These next-generation PRVs perform consistently across a wide range of pressure and flow conditions — capable of providing precise pressure control across a water distribution network using a lower upstream pressure, thereby further reducing system leakage. 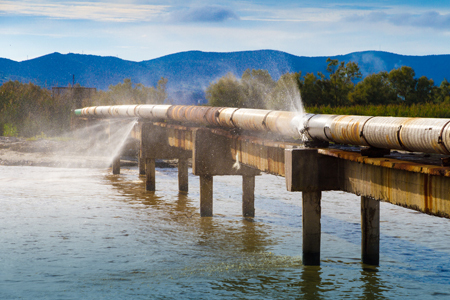 Utilities can now develop a smart water pipeline monitoring and control system around such a PRV, ensuring performance across all flow and pressure conditions. Companies such as Oxford Flow (named for its R&D site, Oxford University) have developed smart valve concept hardware that dovetails seamlessly with a water utility’s SCADA system, resulting in a truly intelligent system that provides real-time pressure and flow data, as well as water quality monitoring, with data derived directly from the valve. By actuating a pilot control valve, utilities can adjust downstream pressure remotely through the control room SCADA system, enabling optimization of the wider network against multiple parameters. Understanding the dynamics of flow and pressure across the distribution network, the SCADA system can automatically adjust pressures to calm the network and proportionally reduce the level of leakage in the system. Should a leak or water quality issue occur, it will be visible to the SCADA system operators who can intervene remotely in real time before a crew can be dispatched to address the issue. Undoubtedly, investments in upgrading water distribution system integrity represents a cost to private water companies or municipal ratepayers. However, the long-term effects of not taking action will be far worse. By introducing comprehensive pressure management into existing networks, utilities can effectively reduce leaks and avoid costly repairs from reacting to pipe bursts. This helps better manage operating expenses and will help justify smart pipe solutions on future system expansions. 1 The American Society for Civil Engineers: Infrastructure Report Card: https://www.infrastructurereportcard.org/wp-content/uploads/2017/01/Drinking-Water-Final.pdf. David Smith is the director of business development for Oxford Flow for North America and is based in Houston, TX. He has over three decades of energy industry experience with a strong focus on the upstream, midstream, and oilfield services sectors. David is responsible for establishing Oxford Flow’s presence and relationships with end users, engineering firms, and the company’s distribution channels in North America.